The EUR/USD currency pair is consolidating inside a 50 pips range. The technical picture indicates that the price may continue falling down. A predicted target is at 1.2715. 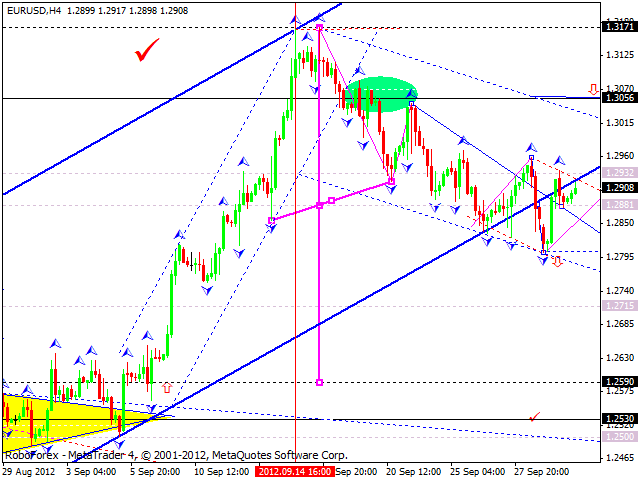 Today the pair is expected to break the consolidating channel downwards and try to breach the level of 1.2800. The GBP/USD currency pair continues moving between two medians. Today the pair is expected to continue falling down towards 1.6100 and break it. All this movement is inside the third descending wave. A predicted target is at 1.6000. After Pound leaves the range indicated at the chart, we’ll specify the targets. The USD/JPY currency pair continues moving inside a 30 pips range. 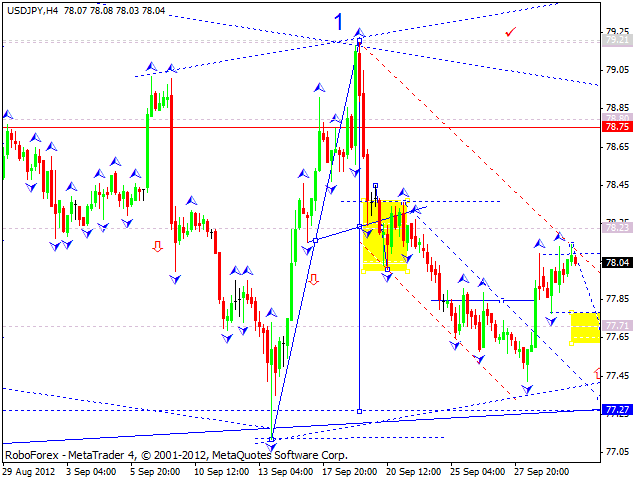 Today we can expect the price to break the range downwards and continue falling down towards 77.70. 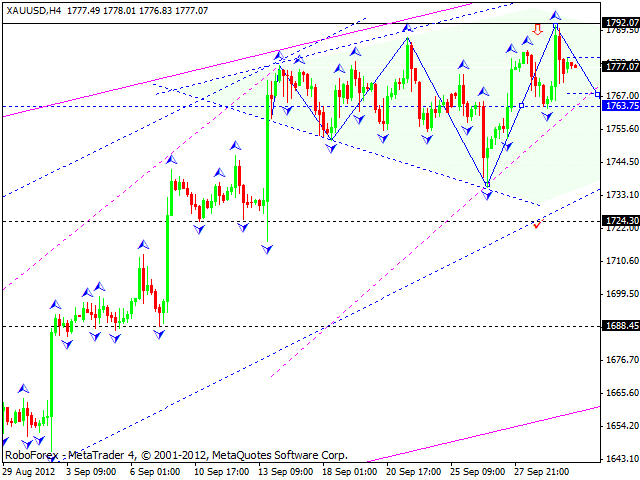 Then, one more consolidation channel and reaching the level of 77.30. The USD/CHF currency pair continues consolidating inside a narrow trading range. 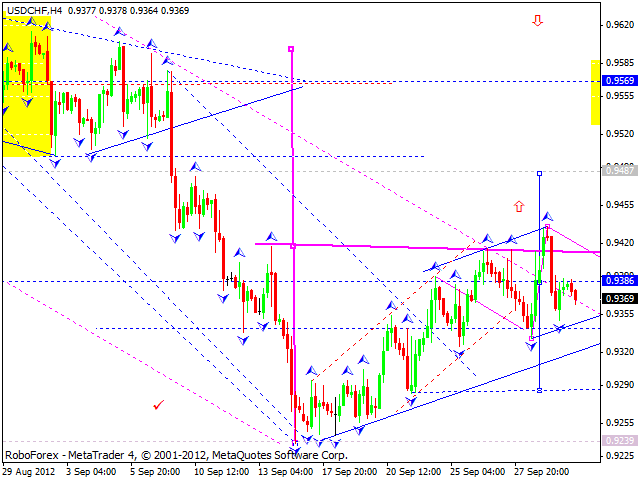 Today the price is expected to continue growing up, break the level of 0.9400, and then reach the target at 0.9490. All this movement is inside the third ascending wave. 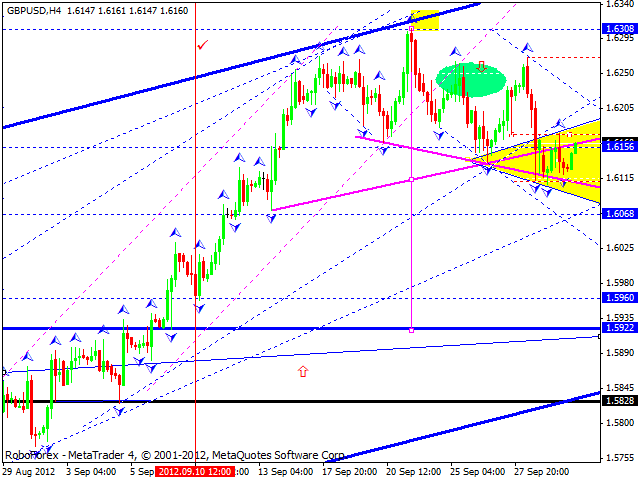 Australian Dollar continues moving downwards, it has already reached the lower border of “wedge” pattern. Today we can expect the pair to move inside a narrow trading range and test the level of 1.0350. 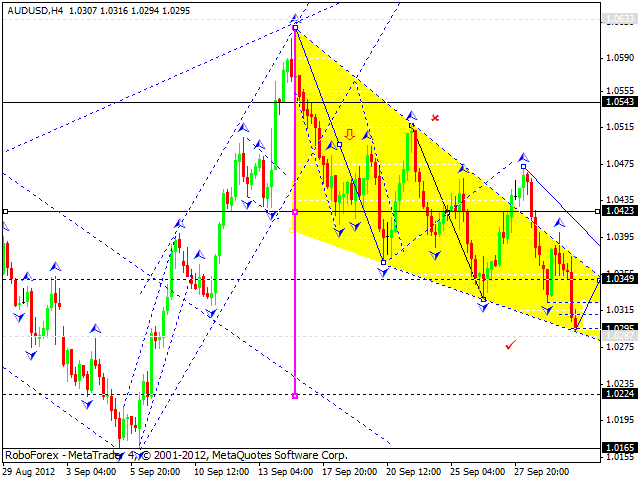 The target is at 1.0225. Gold has almost reached predicted targets. The price is forming the first wave of a correction. Today the instrument is expected to move between 1780 and 1770, then break this range downwards and reach the target at 1745.